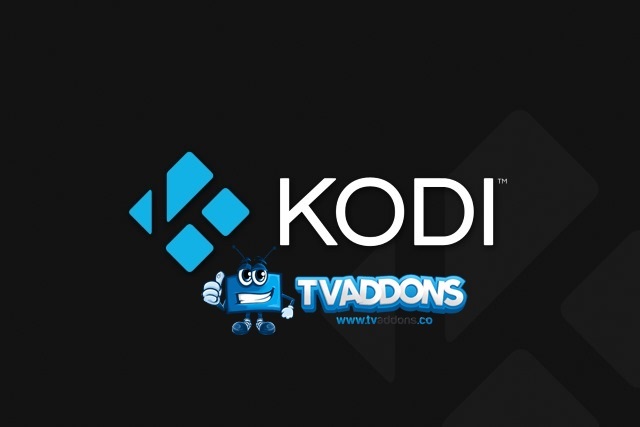 TVAddons has been very much in the news over the past year or so, with the controversial site constantly fighting to prove it is doing nothing illegal, and did not exist with the aim of providing access to copyrighted content. In the latest stage of its on-going battle with copyright holders, the site has lost an appeal hearing in Canada after a judge overturned a ruling from June last year. It had previously been ruled that a search warrant (an Anton Piller order) against Adam Lackman had not been correctly executed, thereby negating any evidence it resulted in. Bell, Videotron, Rogers and TVA appealed against this ruling, and a judge has now overturned the original verdict, throwing further confusion onto an already confused situation, and bringing into question the interpretation of evidence put forward in the case. The judge also ruled that TVAddons was "clearly designed" to be used by "those who want to circumvent the legal means of watching television programs and the related costs." While there is little doubt that there are Kodi addons that can be used to illegally access copyrighted content -- and that these were available via TVAddons -- it had been argued that the number of addons that fell into this category was very small. The original judge -- Justice Bell -- agreed, saying that under one percent of addons could be viewed in this way. I agree with the [telecoms companies] that the Judge misapprehended the evidence and made palpable and overriding errors in his assessment of the strength of the appellants' case. Nowhere did the appellants actually state that only a tiny proportion of the add-ons found on the respondent's website are infringing add-ons. [Justice Bell] therefore clearly misapprehended the evidence in this regard by concluding that just over one percent of the add-ons were purportedly infringing. The confusion appears to have arisen from the fact that while TVAddons offered 1,500 add-ons in total, the heavily discussed "featured" addon category on the site contained just 22 add-ons, 16 of which were considered to be infringing according to the original complaint. So, it was 16 add-ons out of 22 being discussed, not 16 add-ons out of a possible 1,500. While Google is an indiscriminate search engine that returns results based on relevance, as determined by an algorithm, infringing add-ons target predetermined infringing content in a manner that is user-friendly and reliable. The fact that a search result using an add-on can be replicated with Google is of little consequence. The content will always be found using Google or any other Internet search engine because they search the entire universe of all publicly available information. Using addons, however, takes one to the infringing content much more directly, effortlessly and safely. The service offered by the respondent through the TVAddons website is no different from the service offered through the set-top boxes. The means through which access is provided to infringing content is different (one relied on hardware while the other relied on a website), but they both provided unauthorized access to copyrighted material without authorization of the copyright owners. We have just received notice that the appeals court ruled in favour of Bell, Videotron, Rogers and TVA. This means that we will not have our original domain name or social media accounts returned in the foreseeable future. This is a major blow to internet rights in Canada, as it confirms the fact that under Canadian law there are no safe harbours protecting community based platforms from abuse by web site visitors. As of the current time, the court has not had the chance to actually test any of the claims that were brought forward by Canada’s telecom cartel. The court took their claims as at face value, and decided that it was appropriate to preemptively seize all of our property pending the outcome of what could end up being a very lengthy and costly legal battle, which we might not even be able to afford to fight. At the current time, we have almost a thousand legitimate unofficial Kodi addons indexed within our addon library, none of which can even be considered to be infringing. These addons are developed by independent developers around the world, and submitting to our site for indexing. We do not have any part in their development, and have never hosted nor direct linked to any form of infringing content. There is still the possibility that our property will be returned eventually, but without the ability to communicate with the majority of our userbase, fundraising for legal costs has been quite difficult. In civil court, it is not uncommon for the party with more resources to prevail, since civil court does not offer the same legal protections as are afforded under the criminal justice system. The most disturbing part of this whole ordeal is that it has now been proven that unlike American web sites, Canadian platforms are responsible for the actions of their users. In the United States, if a site like Facebook, YouTube or Reddit were to contain something infringing that was posted by one of their users, they would be protected by the DMCA which offers a notice-and-takedown system. The recently-unveiled new addon repository is, the site says, subject to a "much stricter submission policy" and the intension is to carry on with the legal fight. To this end, TVAddons is asking for donations to fund the battle -- these can be made via credit card or cryptocurrency.